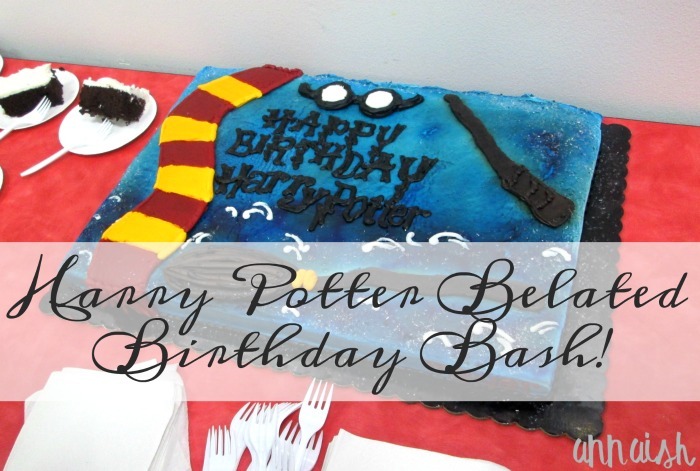 annaish: Harry Potter Belated Birthday Bash! Harry Potter Belated Birthday Bash! In this birthday bash, there will be: a rundown of my favorite Harry Potter things (characters, settings, books etc. etc), a Harry Potter tag and my review for the Cursed Child! Enjoy! I can't pick a favorite book. Nope, no way, no can do. Let me explain. Each book contains so many events, some good and some bad. I loved many scenes, characters, and settings in Harry Potter but they all land in different books. So I basically love them all. But, I did enjoy Harry Potter and the Prisoner of Azkaban and Harry Potter and the Goblet of Fire more than the other books. See, this one I can answer easily! Harry Potter and the Chamber of Secrets and Harry Potter and the Order of the Phoenix are my least favorites. Harry Potter and the Deathly Hallows Part 1 & 2. They did a great job with these two. Umm can I say all of them? (part from Deathly Hallows) Yeah, I didn't really like the movies. The storyline was off in some movies and I didn't agree much with the casting. But, I do have to admit, it was really cool to see this Wizarding World on the big screen. If you could have the resurrection stone, the elder wand, or the invisibility cloak, which would it be? I am a proud Ravenclaw! But I took the Pottermore quiz like five times and I also got Gryffindor and Hufflepuff. I recommend taking this quiz more than the Pottermore. It tells your stats and stuff. I would rewrite Ink by Amanda Sun. Ink had a great concept (drawings can come to live, can't control them, Japan, magical etc. etc) but the characters and their relationships fell flat for me. Oh definitely ~Accio~ A Conjuring of Light by V.E. Schwab! WHERE ARE YOU FEBRUARY 21?! I'm little confused about this question. Does "killer" mean "Dude!! This book was a killer!! So good!!" or "OMG THIS BOOK WAS A KILLER BRB CRYING" OR an actual book about killing? Lucky, I have a book series (yes i'm cheating a bit) that fits in all these statements. Meet The Raven Cycle by Maggie Stiefvater. 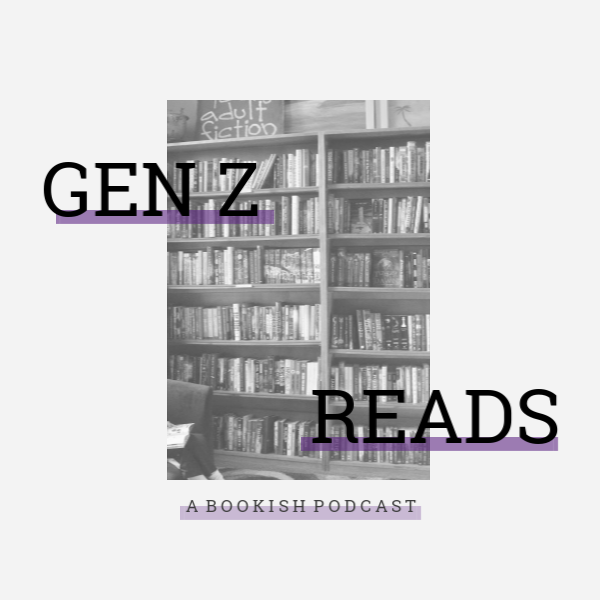 Whenever I'm in a reading slump or feeling down, I reread Fangirl by Rainbow Rowell. Fangirl gives me comfort and brightens my mood, like a patronus! Definitely The Unbecoming of Mara Dyer by Michelle Hodkin! Really good book but, like the question says, it's a dark and twisted book. I don't set my standards very high for books so this is a little difficult! I guess Tiger's Curse Saga by Colleen Houck surprised me. The plot (so far) is pretty good. 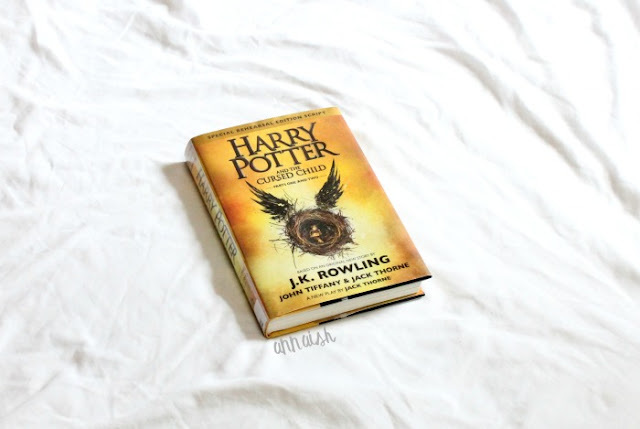 Now, my review for Harry Potter and the Cursed Child! Before I get into anything, I just want to give Jack Thorne and John Tiffany a pat on the back. They gave us fans an amazing play and their script or so called, the “eighth” book. But for me, The Cursed Child left me with more questions than answers. J.K Rowling is the only person who can tell Harry’s story like Harry. So The Cursed Child felt like fanfiction. Even though it wasn't written by J.K Rowling, I still enjoyed it. The plot was somewhat predictable but exciting. I honestly adored the new generation. Albus Potter, Scorpius Malfoy, Rose Granger-Weasley… loved them. For the older generation, I enjoyed their new adventure but personality wise? Mmmm. It was a little strange to see them all adult-ish but you can still see little peaks of Harry's, Ron’s, Hermione's etc. etc childhood personality through out the story. Overall, I still have mixed feelings but as a whole, I enjoyed The Cursed Child. I absolutely loved everything about this post! I definitely agree that Snape was one of my least favourite characters. The fact that he had a crush on Lily so long that he carried it through Harry's childhood was just wrong to me, it didn't work. I'm a Ravenclaw too! I really need to get some gear though lol. I really liked Cursed Child but it didn't feel like the eighth book to me. It just seemed inconsistent and more like a fanfic. Thanks! Yes, disturbing to the max. Yay! #RavenclawsUnite! I agree, Emily. I forgot about Fred and George! Loved them. <3 Yes, I'm with you there. Ooo! A phoenix! Good choice. Thank you, Tasya! Ravenclaws unite! I'm about halfway through cured child and some things are a little confusing to me but i'm still enjoying it. Yay! Alrighty, I hope you enjoy it! Awesome tag and review Anna! I couldn't agree more with you about EVERYTHING! Prisoner of Azkaban is definitely my favorite and I would KILL to have A Conjuring of Light RIGHT THIS VERY SECOND. Actually, there is ONE thing I disagree about: Snape. He was a pretty awful person for the most part (although, honestly, he had the worst life out of everyone) but he's a great character, if that makes sense. And I actually have no current plans to read The Cursed Child in the near future. I mean, it isn't REALLY Harry Potter. Like you said, it was more like fan fiction. Also, if I can't actually see the play, what's the point? Anyway, I am SO HAPPY you finally read and loved Harry Potter. I really loved Prisoner of Azkaban because of my little snuffles. <3 I guess so... (Snape) I think it's worth reading The Cursed Child. It's like a fanfiction but a really good fanfiction! I'm so glad I did! Thank you Erin.